RARE VINEYARD. 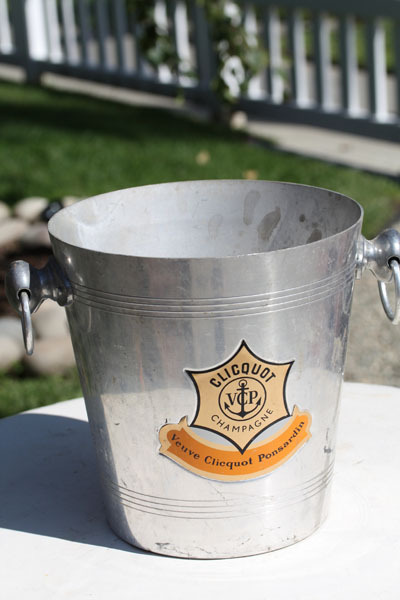 Vintage champagne buckets unearthed in a treasure-trove of a flea market outside Paris. Measures approx 8 x 8, but each varies slightly by 1/2". These are all vintage so definite wear and tear, but NO HOLES or rust. Ring handles as opposed to Classic Flat handle style. Sold individually; two available. France, circa 1940-1960.